This lacquer provides supple hold for a natural finish without residue. The hair is glossy, with a light feel. 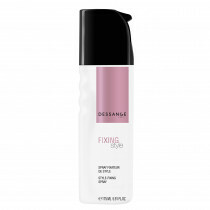 Setting agents: ensure flexible hold to blow-dried hair. Spray a mist of lacquer onto dry hair. Brushes out easily.